Torpedo gets its alumni, HC Dynamo creates a super-trio, SKA signs a champion, Avtomobilist strengthens up. KHL.ru presents some of the top transfers of the offseason. Vadim Shipachyov might get to the Stanley Cup Finals with the Vegas Golden Knights but decided to get back to Russia. Homesickness had the best, even though it didn’t bring him anything special. The then-best KHL center sat on the bench for most of the Olympics and wasn’t called to the IIHF WC. SKA got their prodigal son back, but only for one season. After SKA got out of the playoffs, it was evident that Shipachyov was about to move as he needed a change of environment. The native of Cherepovets is now more used to living in bigger cities, thus he moved to Moscow. Playing for the Blue-Whites, he will most likely be the team’s first center, getting pretty much unlimited time with the man advantage and having a chance to get back the good old Shipachyov. However, in Moscow, he won’t have Gusev, Dadonov, or other of his former teammates. But he will have a chance to start again from scratch. In Moscow, Shipachyov won’t have Gusev but will have Kagarlitsky. According to Dmitry, they chose together to move to HC Dynamo. They will also most likely play on the same line. All the HC Dynamo fans are already foretasting the dynamic duo in action. Even Cherepovets fan may have supported this pair if it wasn’t for a “but”. In the latest few seasons, Kagarlitsky has been Severstal’s captain and symbol. It was mostly his game and the club’s activity on the media that allowed Severstal to stay in the KHL. 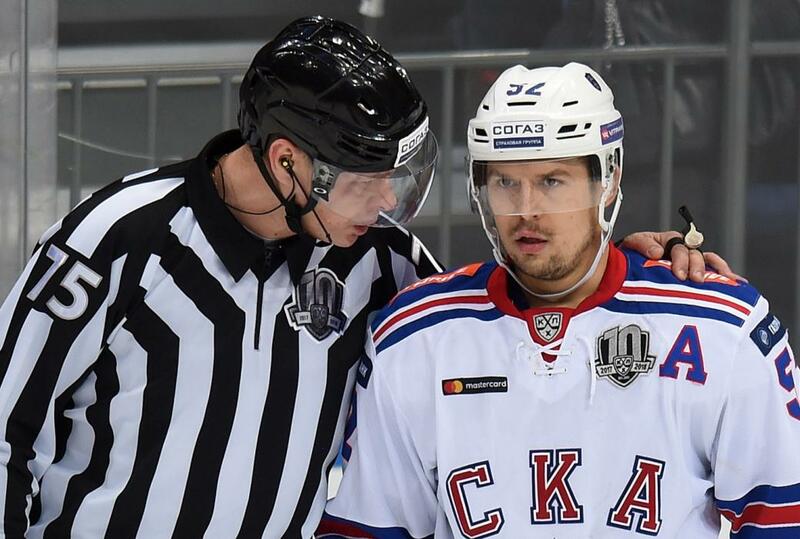 Kagarlitsky left his nest with a sense of a repaid debt, but Severstal’s future play in the KHL is still in jeopardy. According to the latest update of the KHL rankings, the Steelworkers are now on the last position. That’s why in Cherepovets fans are sad to see leaving the team not only Kagarlitsky but also Julius Hudacek, who joined another team in Moscow, Spartak. Regarding the forward’s prospects with HC Dynamo, for the first time, Kagarlitsky will play for a contender. Moreover, the Blue-Whites became one mostly thanks to Kagarlitsky’s signing. It’s hard to call the defenseman a symbol for Ak Bars. Last season was just the second year where he had a stable place in the lineup and managed to avoid serious injuries, even if the Almetyevsk-native player first worn the Green uniform before the KHL’s establishment. For many years, Tokranov was for Ak Bars just a pick-up: many times, Zinetula Bilyaletdinov played him as a forward. In the latest, triumphal playoffs, Tokranov got out of almost nowhere to play even better than the super veteran Andrei Markov. And when it was time to renew his ties with Ak Bars, he decided to change team. The Kazan franchise offered the defenseman a two-year deal, while SKA proposed him a four-year deal right away. Such a contract in the KHL is not without precedents, but still very tempting. For Tokranov, whose career has always been plagued with injury, this was of the utmost importance. The Gagarin Cup winner became a part of the St. Petersburg’s team rebuilding as SKA also signed another defenseman to a four-year deal: Yaroslav Dyblenko. The latest season hasn’t been good for the Czech goalie. Allowing almost three goals a game is not usual for Alexander Salak. He lost the inner competition to the young goalie Alexei Krasikov, didn’t make the roster for the Olympic Games, and Sibir missed the playoffs by one point. How could Salak sign a contract with a top team, considering the circumstances? The problem lies in the knee injury that Salak picked up in the 2016/2017 season. The consequences of the rupture of the cruciate ligaments tormented the Czech goalie even after the preseason practices. However, he was and still is an elite goalie. In Yaroslavl, the directors decided to get rid of a duo of good, but not outstanding Russian netminders. Lokomotiv decided to repeat Sibir’s experience and Salak is used to playing many games and tutoring younger goalies. In Sibir, he had Krasikov, while in Lokomotiv, Anton Krasotkin and Ilya Konovalov will do their best to win some games off Salak. Both young goalies have a lot to learn from the Czech veteran. Torpedo fans didn’t see Varnakov playing for them for five, long years. In this period, the team changed uniforms, was moved from West to East, then to East to West, then again to East. Varnakov played for big teams but didn’t win anything. SKA, where he played the 2012/2013 playoffs, won the Gagarin Cup only two years later. Ak Bars won the championship only in the season after the directors dissolved Varnakov’s five-year deal. Last year, the Nizhny Novgorod-born forward wore the Blue-White uniform of HC Dynamo, where he was tied for the team’s top scorer. However, as the team failed to reach the post-season, Mikhail decided to get back home. Torpedo recently changed directors and coaches, and they decided to stake on local players. And this doesn’t mean only young players, as it was under Peteris Skudra, but also local legends like Varnakov Jr.
Three years ago, Avangard and SKA completed a trade that was considered as a small win for the Omsk-based team. In exchange for Sergei Shirokov, the St. Petersburg Army team sent Avangard two players: Pyotr Khokhryakov and Anton Burdasov. Quantitatively, the Omsk team won but the qualitative analysis is still up for debate. However, who won from the deal is definitely Sergei Shirokov. He could work with Oleg Znarok again, with whom he won two world championships. After the gold medal won in Minsk, they first won the Gagarin Cup, then the Olympic Games in South Korea. Sergei earned the right to be labeled as a member of the “Znarok people”, that is players that the former Team Russia head coach particularly trusted. Logically, when Znarok left SKA, Shirokov left the team as well. He was greeted with open arms on the shores of the Irtysh, in Omsk, the fans still remember Shirokov scoring more than 20 goals a season being an alternate captain. Under Bob Hartley, Shirokov may again get back on the top level. For him, a spot in the top line is almost guaranteed. Once upon a time, CSKA featured the young-guns line of Shirokov – Zubov – Parshin. A few years later, the line was reunited in Omsk, but until last year neither of them was playing for the Red Army or Avangard. Only Denis Parshin renewed his ties with his current team, while Ilya Zubov and Sergei Shirokov changed teams. This Spring, Zubov, and Salavat Yulaev parted ways, even if the center forward was the captain of the team. Of course, Zubov is not a player that would stay long without a job and he became one of the top acquisitions for Spartak Moscow. In his new team, Zubov can aim for a second or even first line spot. It also looks like that he can become the team’s captain again as he is used to this role, having fulfilled it not only for Salavat Yulaev but also for Admiral. And considering that Zubov played for Spartak for the first time in 2005, this move can be considered a very symbolical one. Shirokov’s return wasn’t only summer acquisition by Avangard. Ville Pokka’s signing made a lot of noise, and the team made another interesting, yet nostalgic, move in signing back goalkeeper Karri Ramo. Omsk fans were expecting the return of another well-known player in Alexander Popov, but the veteran signed a new contract with CSKA. Avangard, however, signed his younger and more productive linemate. In three years in Moscow, Kirill Petrov amassed 88 points. Maybe he wasn’t considered a star for the Red Army, but in his first full season wearing the Blue-Red jersey, he was the team’s top scorer. Even after CSKA signed some players from the NHL, Petrov maintained his high-level production. He finished last regular season as the fourth CSKA scorer, but the team’s directors decided to part ways with him. With Petrov, Avangard got not only a good goal scorer but also a team who isn’t scared by physical play and that will help on defense. Three years ago, not many people knew him in Russia. The Kiev-born forward, who also played at the WJC with the Ukrainian national team, built his career on the other side of the Atlantic. Far from Russian eyes, he played in many different leagues. Today Padakin not only holds a Russian passport and is a candidate to play in the national team but is also one of the most perspective forwards in the KHL. The 2017/2018 campaign was a breakout season for the 23-years-old forward. 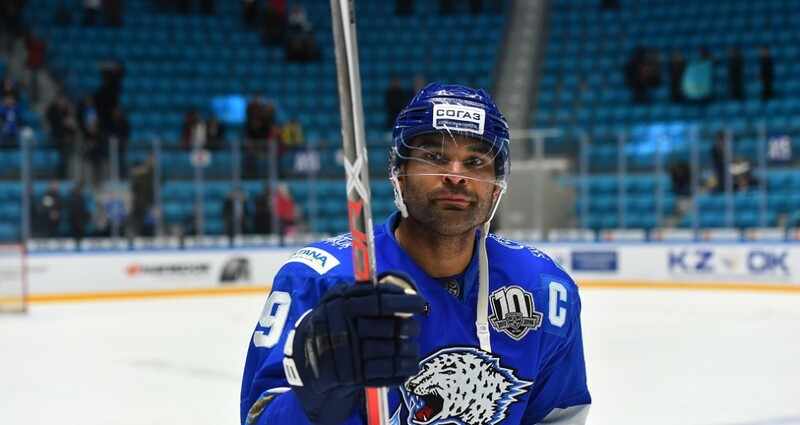 He was one of the best players for HC Sochi together with the foreigners’ legion and in January he was called to participate in the All-Star Game. And he didn’t simply participate, he was a blast as he skated around in a Superman suit. The performance of the always-smiling guy was applauded not only by HC Sochi fans but also by neutral supporters. In the next season, Padakin will wear the Green Ak Bars uniform. To secure him, Kazan sent to the Black Sea shores forward Dmitry Arkhipov and defenseman Damir Musin. Many considered young, technique-sound forwards not able to shine within Zinetula Bilyaletdinov’s schemes, but Stanislav Galiyev’s successes proved them wrong. Last year’s KHL top scorer decided to have a change of scenery. 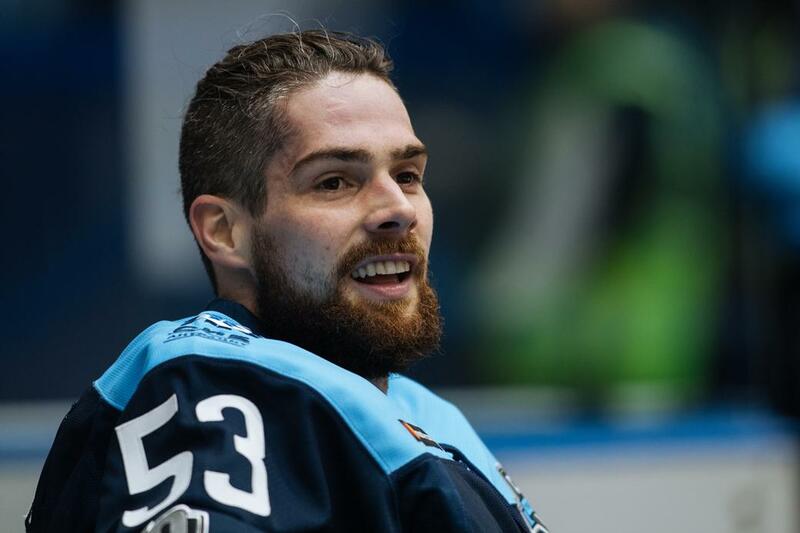 The Canadian forward with Kazakhstani passport scored 30 goals or more in four seasons and was the Barys Astana captain in the latest two campaigns. However, after Brandon Bochenski and Dustin Boyd decided to change too, also Dawes didn’t stay in Astana one year later. Nigel will again play in the Eastern Conference but changed division. From now on, he will play for Avtomobilist as the Ural team keeps on improving every season, trying to become a Gagarin Cup contender. So far, Avtomobilist didn’t sign any big Russian name but the foreigners promise to be on a very high level. The 33-year-old forward will give Andrei Martemyanov’s team more aggression and, of course, his main weapon – his shot. For a long time, Dawes was a part of a rich-in-chemistry line, but his style of play will allow him to be more independent. He’s definitely able to become a true leader for Avtomobilist right away. SKA won two Gagarin Cup backstopped by Mikko Koskinen, but this summer was the time when the team and the giant Finn goalie needed to part ways. Koskinen moved to the NHL, and the St. Petersburg Army found his replacement in China’s open spaces. Magnus Hellberg is not only a 2018 World Champion with Team Sweden but also the closest possible copy of Koskinen. The Swedish goalie is very tall and lanky and even looks a bit like Koskinen. Can it be said that the two giant goalies play a similar style? There is only one true question: will SKA keep on trusting a foreign goalie or will they give Igor Shestyorkin a true chance? In any case, the young Team Russia goalie will have to face some serious competition. Mironov didn’t manage to build himself a career overseas as he had some communication problems with the Colorado Avalanche. He was allegedly promised of a spot in the roster, but instead, he mostly played in the AHL. He spent most of his season in San Antonio, Texas. As a result, he lost his patience, packed his things and decided to cross the Atlantic once again. As the KHL transfers deadline was already passed, Andrei had no other chance than practicing and waiting for the new season. 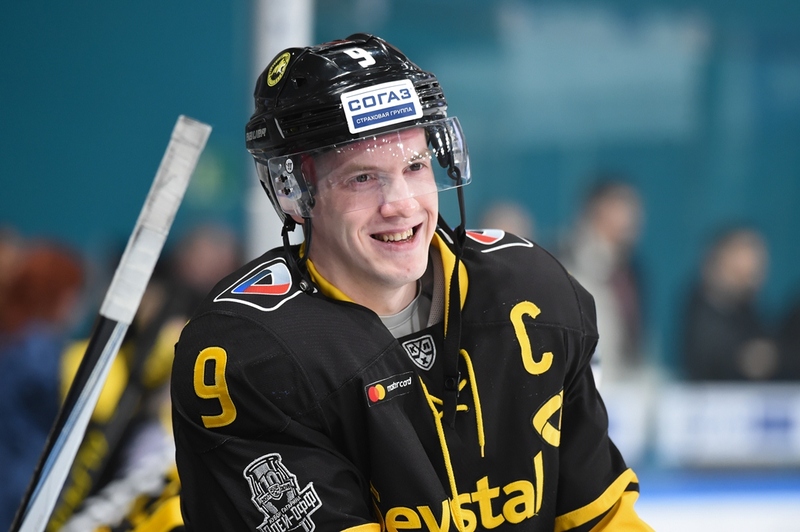 In spite of a multitude of offers from other top teams, he decided to sign back with his alma mater’s team HC Dynamo, with whom he already won the Gagarin Cup. Playing for the Blue-Whites, the IIHF WC silver medal winner shouldn’t have any problem with getting enough ice time. Mironov has all it takes to become a defensive leader for HC Dynamo and get back in defending the Russian colors on the international stage. Team Russia fans are already waiting for his open-ice hits. Last summer, the CSKA directors worked hard to sign Russian players back from the NHL. The Red Army was then joined by Nikita Nesterov, Alexei Marchenko, Roman Lyubimov, and Mikhail Grigorenko. Three of them became Olympic champions, CSKA had many good Russian players, but the foreigners were the weak ring in the chain. No foreign player was a key part of CSKA, with the exception being Mat Robinson. After losing the Gagarin Cup finals to Ak Bars Kazan, the Red Army decided to fix the problem and as first measure they signed Linden Vey. The fifth scorer in the 2017/2018 season will strengthen up the Red Army offensive department. 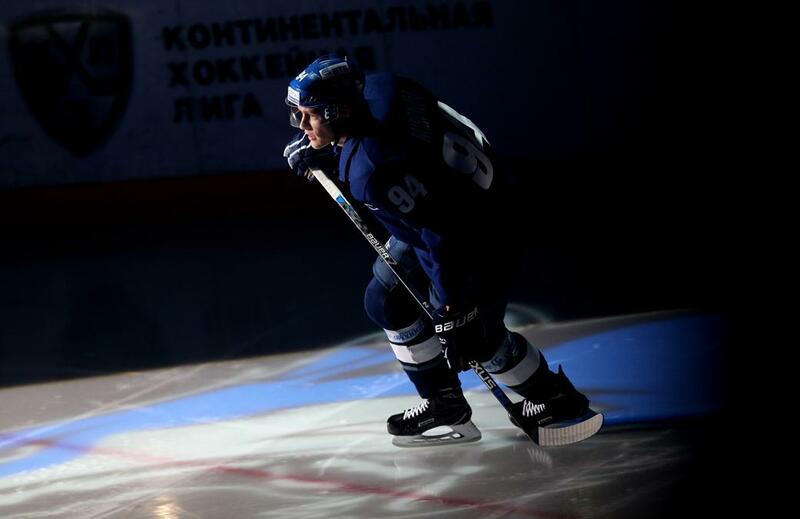 Last year, he scored 52 points in the regular season, becoming a true leader for Barys. The Canadian, who also won a bronze medal in South Korea, finished the season in Switzerland, playing for Zurich, but made it clear right away that his goal was to get back to the KHL. Another forward who moved from Switzerland to the KHL. Stephane Da Costa, just as Linden Vey, is tied with CSKA Moscow, with the difference that if Vey spent in Switzerland just a couple of months, Da Costa was there for a full season. Moreover, the Canadian became a CSKA player just recently, while Da Costa played three seasons in Moscow. Now he will play in the Eastern Conference, joining Nigel Dawes and Dan Sexton. They create a true foreigner triumvirate, envied by pretty much the whole KHL, including other top teams. Da Costa, who most recently played at the IIHF WC with Team France, is an outstanding player, able to look great even in the stacked CSKA Moscow roster that got to the Gagarin Cup finals. 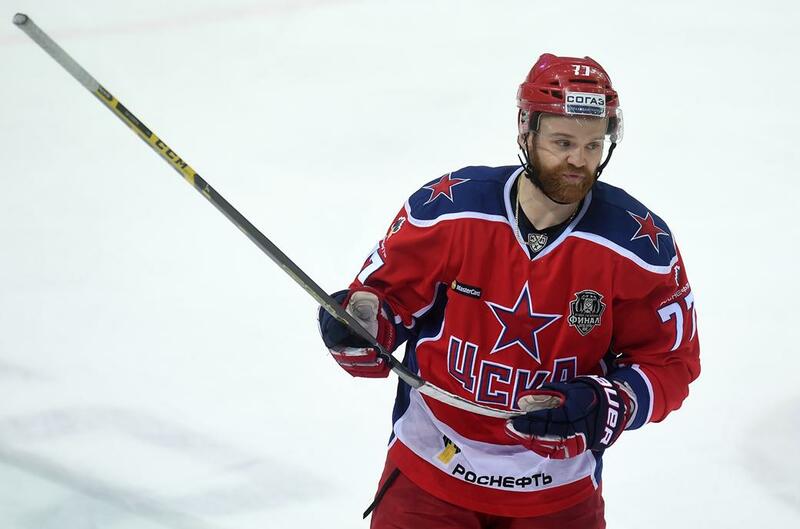 Dmitry Kvartalnov played him with Alexander Radulov, allowing for the maximum creativity. The only thing that makes his signing a bit risky is the Frenchman injury proneness. The last time that he played more than 30 games in a season is the 2014/2015 campaign when he just got signed in Moscow from Ottawa. These two players were joined in just one move as Byvaltsev and Li were some kind of a united force for Amur. And they moved together to St. Petersburg. Just one year ago, it was unthinkable to imagine that both players would move to SKA. They had less than 30 points combined and could not be considered stars even in Khabarovsk. However, the two formed a very dynamic duo under the guidance of Andrei Martemyanov, who gave them room in the team’s first line and first powerplay unit. Byvaltsev had a particularly good regular season, ending up in the league’s top-ten in scoring and getting a well-deserved spot in the KHL All-Star Game (where he brought with himself a literal carton copy of Li). He even made the Team Russia roster who played at the latest IIHF WC in Denmark, even if he didn’t play. Oleg Li had a more modest season, but in St. Petersburg they are counting on them to bring SKA their great chemistry.